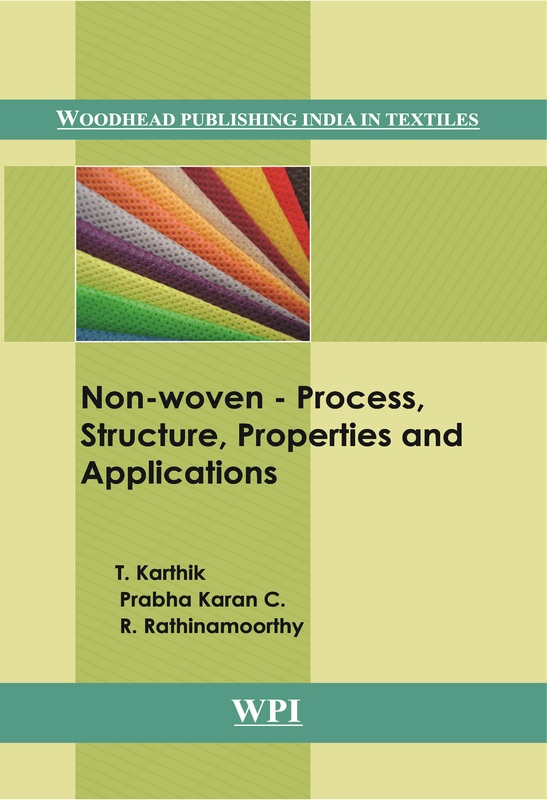 Karthik T., Prabhakaran C., and Rathinamoorthy R.
Non-Woven - Process, Structure, properties and applications outlines the concept and principle of entire nonwoven manufacturing process starting from raw material selection, web formation techniques, web bonding methods and finishing. Further, characterization and testing of non-woven fabrics, application of non-woven fabrics in different areas such as apparel, agrotech, geotech, medical and hygiene, automotive textiles, filtration products, home textiles, roofing and construction and packaging were also discussed in detail. The advancements in non-woven manufacturing known as composite non-woven, their properties and applications were discussed in detail.